Client satisfaction is the real measure of success and pride for the work we do at PassingLane, but we also greatly value the external recognition gained through the awards we have won from various prestigious competitions. Passing Lane is proud to be a 5-time winner of the Horizon Interactive Awards for excellence in website design and development. 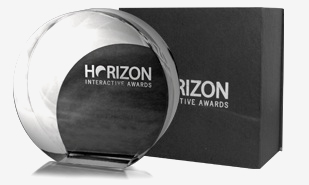 The Horizon Interactive Awards is the prestigious international competition designed to acknowledge outstanding achievement among interactive media agencies and producers. The Horizon Interactive Awards recognize a variety of digital mediums including: websites, online advertising, mobile applications, videos and print media. Winners are awarded based on their individual categories with either: gold, silver, bronze titles or with honorable mention distinctions. PassingLane is proud to have HearPlanet be selected as the official United States entry to the prestigious World Summit Awards for Mobile Tourism & Culture for 2010 and 2011. The World Summit Award is a global initiative to select and promote the world’s best in mobile content and innovative applications. Passing Lane is excited to announce that HearPlanet is a 2010 Ebbies Award Finalist for Innovation Through Technology. There are three finalists for this year's award, with HearPlanet receiving this honor along with Zynga and Practice Fusion. 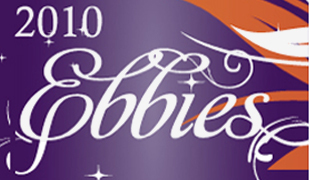 The Ebbies Awards is San Francisco's preeminent awards competition honoring excellence in business.